Watching the Academy Awards presentation tonight, it was good to see an array of nominated films take home some hardware. Honorees for "The Fighter," "The Social Network" and "The King's Speech" appeared on my ballot, and it was good to see Melissa Leo, Christian Bale and Colin Firth victorious. Big relief to see that Trent Reznor and Atticus Ross earned statues (bravo!). Though it was pleasing to see a longtime actress favorite, Natalie Portman, as winner for "The Black Swan" I was rooting for Annette Bening's amazing, emotional performance in "The Kids Are All Right." Biggest disappointment of the evening: Twenty-time nominee Randy Newman winning for original song (in my opinion, his was the least original, again). Another disappointment was that Winona Ryder received no nominations for her twisted character in "Black Swan" (she stabbed herself in the face with a nail file, for crying out loud!). Going into the evening, I maintained that "The Social Network" might take home best picture, and though "The King's Speech" is excellent, the moodier tone of the former seemed more contemporary. "The King's Speech" themes of friendship and British connections remind me of best picture from 30 years ago, another U.K. great (which some say 'saved' British cinema), "Chariots of Fire." I was just seven years old when "Chariots of Fire" won best picture of 1981, and I still enjoy vivid memories of viewing this film on the big screen with my dad and my grandmother. What a treat it was to again experience "Chariots of Fire" in a theatre last Thursday when the premiere 30th anniversary presentation, including Q&A with the film's Oscar-nominated director, Hugh Hudson, appeared as the centerpiece of the 2011 Atlanta Jewish Film Festival. Interviewing Hudson during the film was an extraordinary treat. 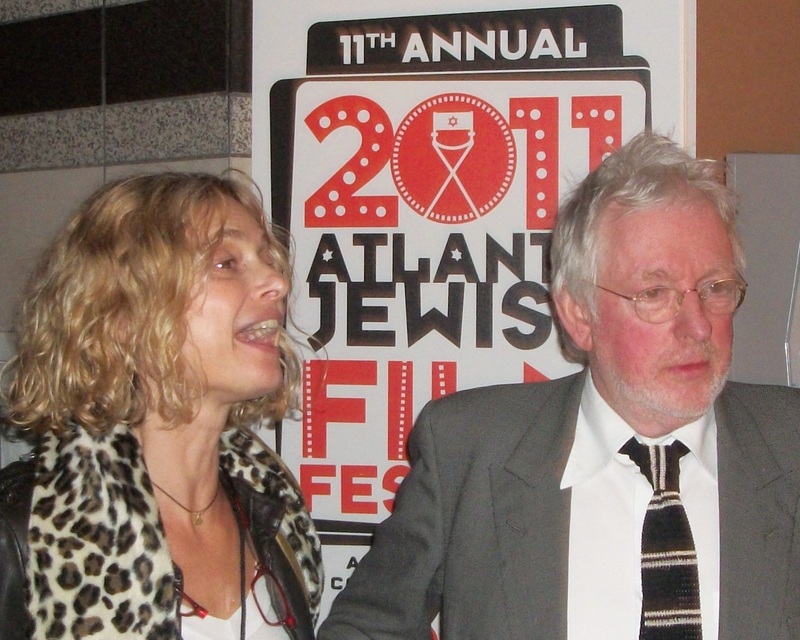 In our one on one conversation in the lobby of Regal Cinemas Atlantic Station (with thanks to the AJFF's P.R. team at MS&L), Hudson explained that sport played an important part of his upbringing. "I was always interested in sporting achievement," said Hudson. When asked about his earliest Olympic memories, he said, "I went to the 1948 London Olympics and have memories of Fanny Blankers-Koen. I saw her run!" Hudson said that athleticism and the Olympics were not the intended themes of "Chariots of Fire;" rather, the "timeless story of youth standing up for [their] beliefs ... for their own sense of freedom, [and] refusing to have ideals diverted by their elders." 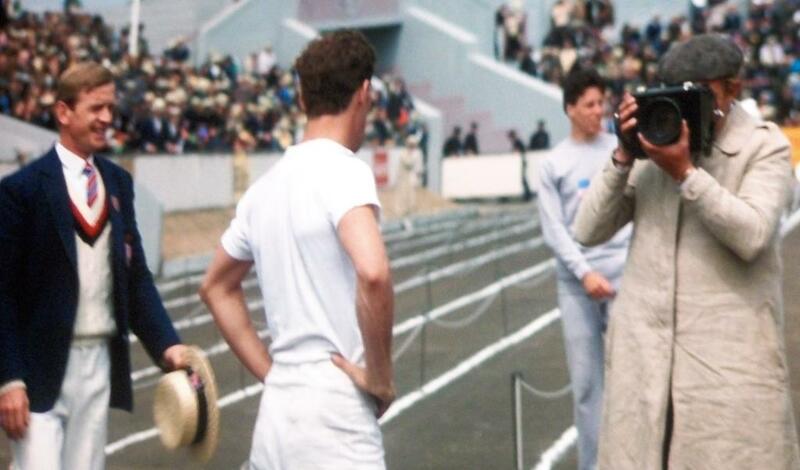 I asked Hudson to reflect on great Olympic films that preceded his, and the extent to which he studied Olympic films or film makers prior to "Chariots of Fire." Hudson replied that Leni Reifenstahl's "Olympia" was "breathtaking" and he also cited "Tokyo Olympiad" by Kon Ichikawa as influential. "[But] they were pure documentaries," said Hudson, who added that the use of slow motion in those films made it to "Chariots of Fire" but with more criticism for his work. 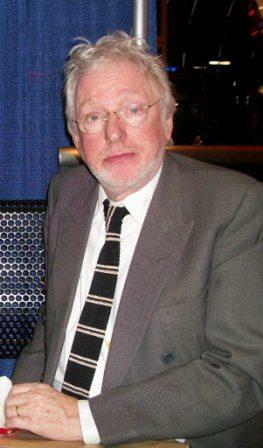 When asked the extent to which the International Olympic Committee, British Olympic Association or other Olympic entities engaged Hudson before, during or after the success of his film, Hudson said they never contacted him (I found and still find this hard to believe since the film screened at several Games since 1981). Hudson said, "Going into Barcelona [in 1992] I wrote a script" and "had a part in Spain" that fell through, but he declined to provide more detail because he "might still use that idea." After talking about the impact of early Olympic films on his career, I followed up with questions about Hudson's impact on Olympic films that followed his. 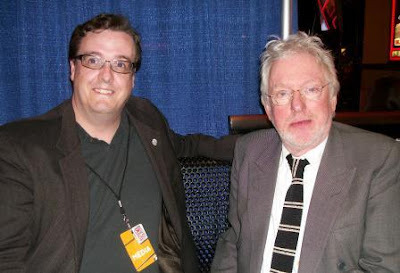 Hudson said he enjoyed Steven Spielberg's "Munich" and it reminded Hudson that he planned to attend the Munich Games in 1972, but instead he only watched the Games on television. Hudson added he did not attend a Games since 1948, and that organizers for London 2012 are not in contact with him. HELLO, are there any London 2012 publicists reading this? Golden opportunity awaits! The last question I was able to pose to Hudson before his next interview of the AJFF concerned the iconic opening and closing sequence of "Chariots of Fire" during which the mesmerizing, Oscar winning theme song by Vangelis is played. Hudson confirmed my suspicion, since elementary school in 1981, that the beach runners were up to their ankles in "freezing cold water in March" (later, during the audience Q&A, seen in the video below, Hudson also explained the scene involved several takes and a quirky miracle of film making led to a second filming that captured more dramatic waves pouring into the shoreline; he also share more detail about his friendship with Vangelis). During the audience Q&A, I also learned that Hudson married a "Bond Girl" from the James Bond film "The Living Daylights" -- Maryam d'Abo answered two questions outside the Atlanta screening of "Chariots of Fire," explaining that the first time she viewed Hudson's film she was a drama student -- with Colin Firth -- and she met Hudson several times during the 1980s before he remembered her (they married in 2003). I found Hudson to be pleasant and conversational, offering to share his popcorn during our theatre chat. 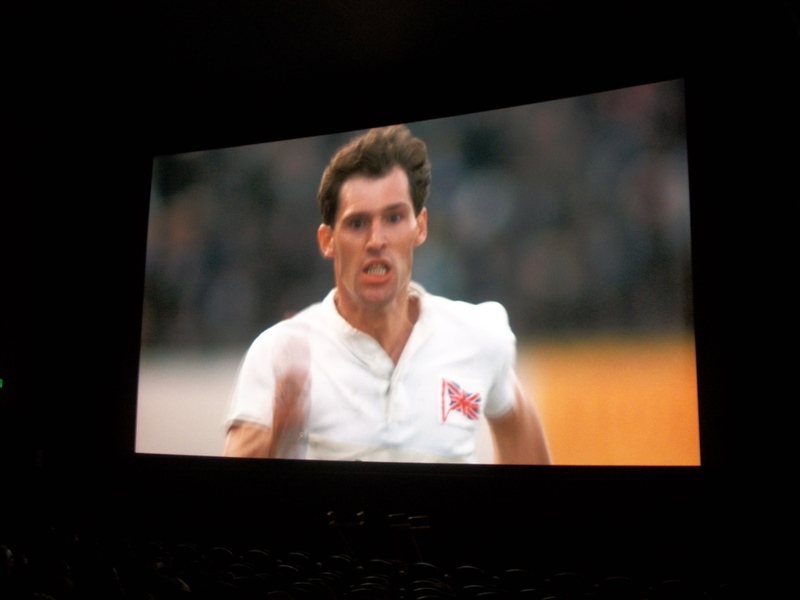 It would be tremendous to see the 30th anniversary edition of "Chariots of Fire" on the big screen in several cities now through London 2012. If it is screening near your favorite theatre, guaranteed, it is the best picture in town.